Receive practical solutions for transforming stress into greater energy, better health and a more fulfilling life. We like to share, but never your e-mail. Sign up for FREE above and you’ll also receive access to all of our free Subscriber downloads. In addition, you will receive HMI news, updates on the latest scientific research and more. HeartMath Institute’s long years of scientific research and clinical trials have helped improve thousands of people’s lives worldwide. 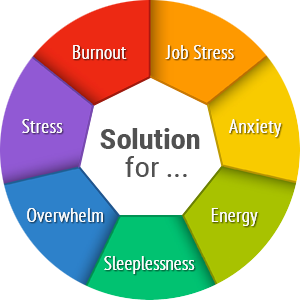 Whether you, a friend, or loved one is seeking help for job stress, anxiety, fatigue, sleeplessness or another stressful condition, you will find proven, easy-to-use and free solutions here. With all our obligations in today’s world and so much we’d like to do, life can be very challenging. Especially for those who, in addition to managing busy lives, have their sensibilities frayed by the constant blitz of information from news events, e-mail, cell phones and more. Millions of people today have reached the point at which everything has become too much. Overwhelm, as HeartMath Institute terms it – combined feelings of futility, anxiousness and hopelessness – can settle in for weeks, months or longer, disrupting our own and others’ lives. 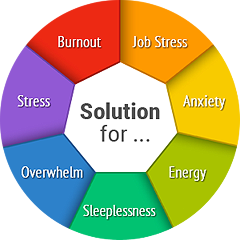 HeartMath has gained the experience and tools needed for managing overwhelm and would like to help. Too Much Significance, Not Enough Ease. The natural solution, researched concluded, seemed to be for people to learn how to take the significance out, so our researchers worked with people experiencing overwhelm. They determined that shifting their emotions helped greatly. Study participants experiencing a negative emotion such as frustration, fear or anxiety in relation to something in their lives were instructed to intentionally replace it with a positive one such as care, compassion or love. For most participants, this produced immediate benefits, especially relief and internal ease. Sustaining this emotional shift and benefit, of course, is a matter of practice, which many thousands of people have been doing for years. Science of The Heart: Exploring the Role of the Heart in Human Performance – Click the title of this signature HeartMath work for a greater understanding of how the heart, brain and emotions interact to form your perceptions of the challenges and experiences in your life. Assume objectivity about an issue or feeling, as if it were another person having this problem. One of the first things you may notice is how much more compassionate and understanding you are toward this imagined person than you have been toward yourself. Tell yourself with genuine heart intent, "Take out the significance." Breathe ease and calm while telling yourself to "take the significance out of whatever is going on." Dissolve the significance a little at a time. Imagine you are soaking the significance in the warmth of your heart. Just the intent will bring you new power to take the significance out of inefficient emotional reactions so you can see new options and act on them. Greater clarity about what you can accomplish. Experience feelings of relief and calm. Become more understanding – of yourself and others. Appreciation for what matters most. This program is highly recommended for anyone who is interested in providing one-on-one instruction to individuals experiencing overwhelm in their lives. 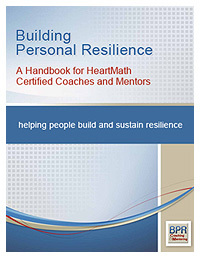 Certified coach/mentors teach tools for reducing stress, increasing internal energy and building and sustaining resilience capacity for facing life’s challenges.